On one side of the debate we have the all-too-secretive Emoji Subcommittee, who convene in meetings where no minutes are recorded in order to choose and reject which emojis should be added to the existing library. On the other side is a small group of veteran typographers who believe the Subcommittee is too liberal in its acceptance of new emojis, and accuses them of placating the public with frivolous additions without considering the long-term effect it may have on the respectability of Unicode or the emoji language as a whole. This all starts to sound very serious until you remember we’re talking about a sad cartoon pile of poo. But that’s not stopping people from getting heated. “The idea that our 5 committees would sanction further cute graphic characters based on this should embarrass absolutely everyone who votes yes on such an excrescence. Will we have a CRYING PILE OF POO next? PILE OF POO WITH TONGUE STICKING OUT? PILE OF POO WITH QUESTION MARKS FOR EYES? PILE OF POO WITH KARAOKE MIC? 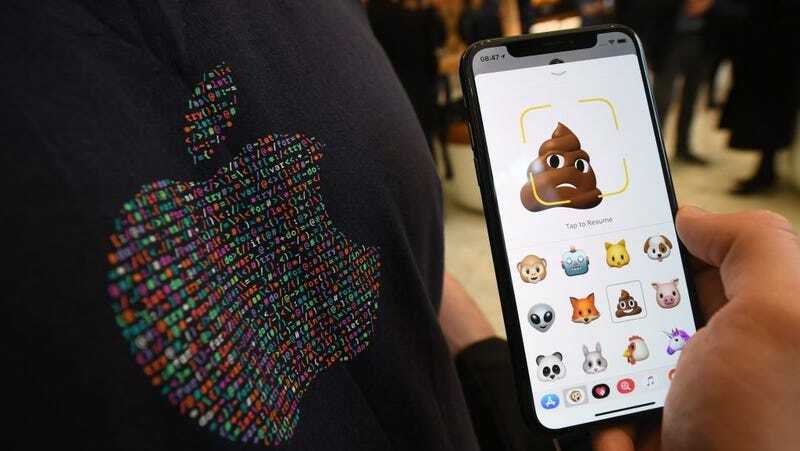 Will we have to encode a neutral FACELESS PILE OF POO?” wrote Unicode typographer Michael Everson in a very serious internal memo. The exhaustive Buzzfeed report goes into further detail on the ongoing internal struggle, which recently spilled over onto Twitter, and includes the following gem of a quote: “A coil of dog dirt with stink lines and flies is surely the only proper semantic.” Read the whole thing, and know, no matter how things end up, that a lot of thought has gone into that pile of poo.